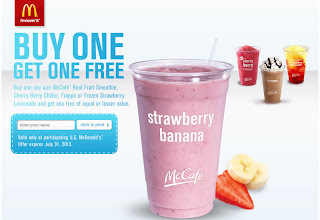 Have you been wanting to try that new Cherry Berry Chiller or maybe this Strawberry banana from McDonalds? 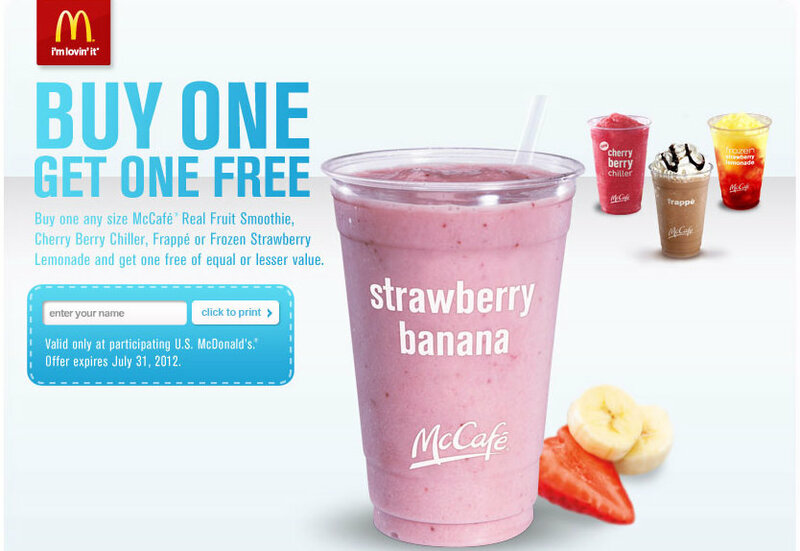 Use this Buy One Get One Free any size McCafe Cherry Berry Chiller, Frappe, Real Fruit Smoothie or Frozen Strawberry Lemonade at participating McDonalds. Offer expires July 31, 2012. Limit 1 percustomer.